Yesterday, Executive Vice President of Cloud and Enterprise, Scott Guthrie announced over 40 new investments coming to Microsoft Azure. 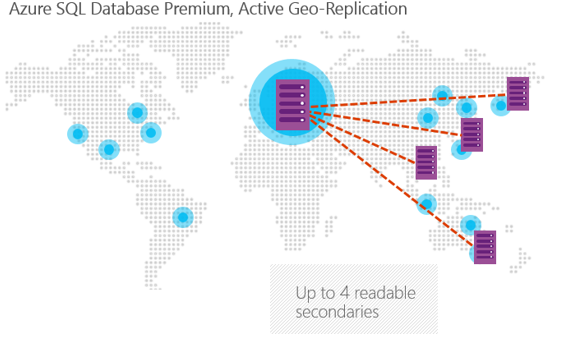 Some of those announcements were about Azure SQL Database and we wanted to share a few more details: later this month we’ll add active geo-replication, self-service restore and support for databases up to 500GB in size to our existing Premium tier preview. Additionally, at GA, we’ll support a higher uptime SLA to 99.95%. 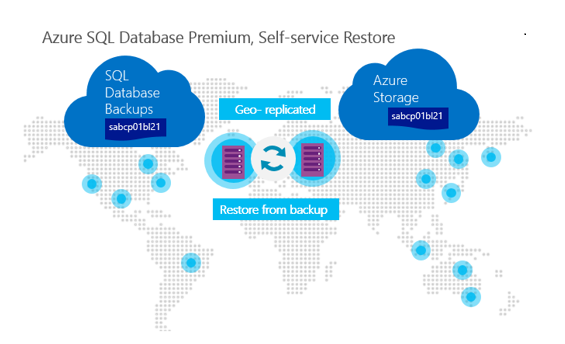 Active Geo-Replication: Gain more control over your disaster recovery process by creating up to 4 active, readable, secondaries in any Azure region and choosing when to failover in the occurrence of a catastrophic event. Additionally, there are multiple datacenters within each Azure region which are at least 500 miles away. This means if you do need to failover, your data doesn’t have to leave the geo-political area in which it’s based and helps you to remain in compliance with country or corporate policies. For many customers Active Geo-Replication will remove workarounds which use data sync technologies and will ensure transactional consistency across the primary and secondaries. Self-service Restore: SQL Database Premium allows you to restore your database to any point in time within the last 35 days in the case of a human or programmatic data deletion (“oops recovery”) scenario. For many customers, Self-service Restore, will replace import/export workarounds by giving self-service access to built-in and geo-redundant SQL Database backups. Stay tuned to the Azure blog for more details on SQL Database later this month! Also, if you haven’t tried Azure SQL Database yet, it’s a great time to start and try the Premium tier! Learn more today!